This is my first 5 for Friday post. Just a wee roundup of the best bits of my week. Watching Trainspotting in college was basically a requirement. I saw it my second year (maybe?) and enjoyed it, but haven’t seen it since. When I heard about the new movie being released, I rewatched the movie. It’s still amazing and having lived in Edinburgh, it hits even harder. It’s seriously one of the best book-to-film adaptations ever and I urge you to give the book a shot. I choose to believe that Trainspotting is the Obi-Wan Kenobi origin story. Wednesday was the launch of Alwyn Hamilton’s Traitor to the Throne, the second book in her Rebel of the Sands trilogy. I had already read it thanks to an advance reader copy from the publisher, but was so eager to hear Alwyn herself talk about it. The launch was at Watersones Piccadilly in London and drew quite a crowd. This was the first launch I’ve been to since I started working in publishing that I didn’t have to actually work at, and I had a blast. She gave some really good insight (it was originally just going to be one book. One book!!) and she’s just so delightful. Plus, there were cupcakes. My friend wanted some new podcast recommendations and I raved about My Favorite Murder. Granted she ended up going with Serial instead (a very good choice), but seriously My Favorite Murder is one of the best parts of my week. If you don’t know what this podcast is, think two hilarious women talking about their true crime obsession. Throw in some incredible quotes, feminism, mental health advocacy, crazy survival stories, and a very cross-eyed cat who JUST wants a cookie and you have My Favorite Murder. Just go listen. Finally, something book related. My Hatchards book showed up! My mum got me a book subscription for Hatchards, an amazing bookshop in London. I get a book a month, alternating fiction and nonfiction. It’s totally one of the best parts of my month and has actually got me really into nonfiction — they choose such amazing books. This month’s book is The Bone Gap by Laura Ruby. Has anyone read this? The Ladies have become a part of this blog’s Instagram account. They are just so photogenic and have some serious insight into all kinds of literature. 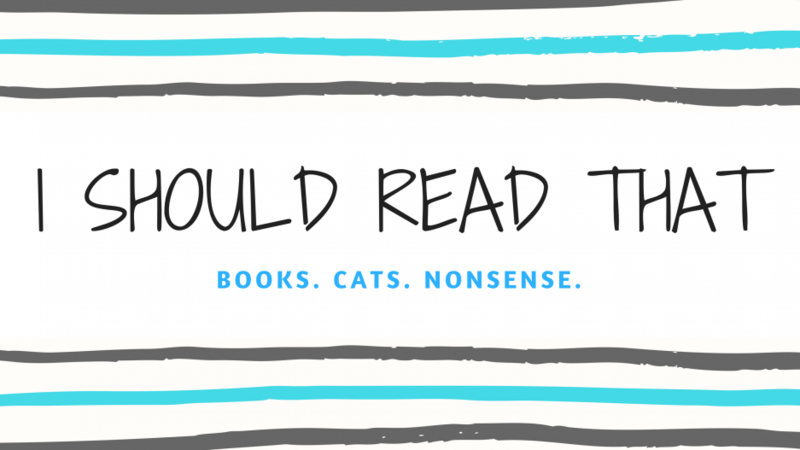 Check us out — come for the books, stay for the cats. Sophia actually holds still for photos, Dax wiggles and runs as soon as she sees me approach with a book.